The city of Baltimore is filled with many beautiful places to visit and fun things to do. Whether you plan to call the city home or you are just passing by, you will enjoy everything Baltimore has to offer. Some of the locals’ favorite places include Fort McHenry, the Walters Art Museum, the Maryland Zoo, and also the National Aquarium. As you can see, the level of adventure varies, but will keep you on your toes. This means that you do not have time for tooth pain. However, if you do experience tooth pain, you will be happy to know that Baltimore has many dental provider options. Emergencydentistsusa.com is committed to providing you with a list of dentists and specialists that are available and ready to help you in your time of need. Our list is comprehensive in nature and includes a wide array of providers from general dentists to endodontists and more. We have even included holistic dental practices for those patients who are committed to living a more natural and healthy lifestyle. 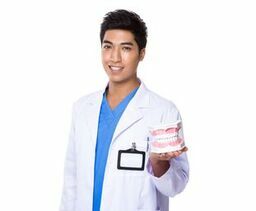 The only thing you need to do to find a dentist in Baltimore is take a look at our list. If you are in a rush and do not have time to look, call our toll-free dentist finder hotline now. The team at emergencydentistsusa.com is ready to help you locate a holistic dentist in Baltimore. Our team will help you determine the nearest dental office and provide you with directions to the office. We can even help you schedule your first appointment. We do recommend that you take your ID, insurance card, and copayment with you to your first appointment. In addition, you should arrive about 10 to 15 minutes prior to your appointment time to fill out new patient paperwork. Baltimore offers you more than just fun and sites to see. You will find that there is an array of holistic dentists in the area who are ready to see you and provide you with the care you need. In addition to holistic dentists in Baltimore, you will also find an array of other dental providers to include endodontists, orthodontists, oral surgeons, and more. Description: At Dr. Michael A. Baylin & Associates, we take an approach to dentistry that is like no other. We want you to enjoy your time here and we have worked hard to provide you with the best dental care. With over 52 years of dental practice experience and over 3,000 happy dental patients, we know what we are doing. Whether you are in need of TMJ treatment or cosmetic dental procedures, we take a holistic approach to your care! Description: At Dr. Steven W. Haywood, we take dentistry seriously and your comfort is our number one priority. Our office is made to provide you with an environment that is calm and relaxing from our marble floors to our comfortable dental chairs. As your holistic dentist, we work hard to provide you with all of the dental options you need from clear braces to cosmetic dentistry and more. Description: Julian Center for Comprehensive Dentistry is committed to providing you with a healthy smile that will last for years to come. We offer treatment in a natural, safe, and effective manner. All of our procedures are pain free without any anesthetic. Our holistic approach to dentistry is unique and personalized to meet your needs. From general dentistry to emergency dental problems, we are here for you. Holistic dentists offer you an alternative to traditional treatments. If you are a patient who wants to live a more natural lifestyle or a lifestyle that encompasses your health and body as one, then you may want to find a Baltimore holistic dentists. These special dental offices adhere to strict rules such as avoiding the use of mercury in your mouth. You will find that they do not offer amalgam fillings and focus on more natural options. If you are experiencing tooth pain or you have a dental emergency, take a moment to find one of the many holistic dentists available in Baltimore. Before you visit any new holistic dentist in Baltimore, it is recommended that you check the dentist’s licensed and credentials to ensure they have the requirements needed to provide you with care. You can do this by inquiring with the receptionist of the dental office you plan to visit. Many dentists will hang their licenses and certifications in the waiting room or in the patient treatment rooms. You can also check the dentist’s credentials by searching the dentist’s name on the Maryland Dental Association website.